A WELL-known hard man has been jailed after being convicted of an offence relating to the ride-by shooting of a nightclub bouncer. John Henry Sayers was given a three-and-a-half-year sentence at the Old Bailey on Friday after being convicted of perverting the course of justice, a court official said. During the trial, jurors were told the defendant was “a man to be feared” who had “acquired and promoted a reputation” and would not allow his name to be disrespected. He had initially been accused of ordering the attack on doorman Matthew McCauley outside the Tup Tup Palace on June 6 2015, but was found not guilty of conspiracy to murder, alongside co-defendant Michael Dixon, 50. Both men are from Walker, Newcastle. Prosecutor Simon Denison QC had claimed Sayers ordered the attack after his son was turned away from the Newcastle nightclub weeks earlier, but this was rejected by the jury. The 54-year-old was also cleared of conspiracy to possess a shotgun with intent to endanger life, while Dixon was found guilty of the same offence and given a life sentence with a minimum of eight years, the court official said. Sayers and a third defendant, Michael McDougall, 50, were convicted of perverting the course of justice over a false statement given in 2017. Convicted murderer McDougall, who is serving a life sentence, told “a pack of lies” by trying to claim he was the gunman in the incident, jurors heard. Sayers had previously been cleared of ordering another murder – the doorstep shooting of a man in 2000 – and subsequently cleared of nobbling the Leeds jury in that case. 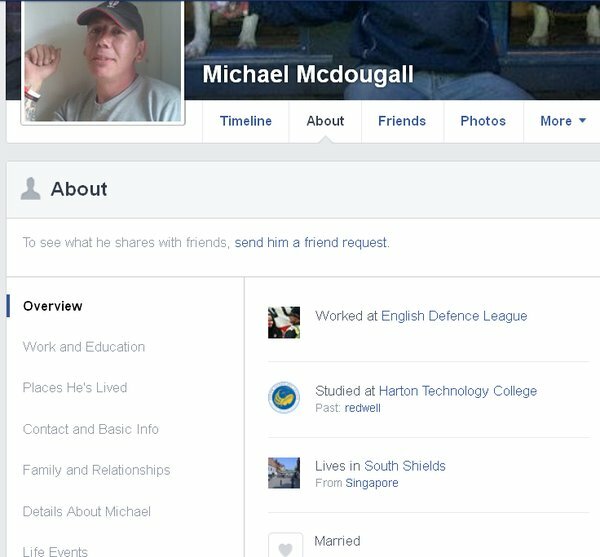 However, he is a convicted robber and tax evader and is said to be a name to be feared in Tyneside. Details of the murder conviction can be found here. Newcastle fan Reece Smailes has been up in court after an incident that happened towards the end of the Huddersfield match earlier this month. When Dwight Gayle walked the third Newcastle goal in, the United fan in question jumped over the barrier at the front and was then arrested in the area between pitch and away end. The 24 year old pleading guilty to a charge under the Football Offences Act 1991 of going onto the playing area during a designated match. In his defence/mitigation, he said that he’d had no choice but to leap over the barrier…because his recently done Newcastle United tattoo was sore from being pushed against by celebrating fans. When searched by Police, they also found a bag of cocaine which he said was for personal use. Magistrates were told that Smailes was previously given a three year Football Banning Order following an incident in 2011 when he punched a West Bromwich Albion fan. The prosecution were asking for another banning order to be put in place. “He was seen jumping over the safety barrier onto an area around the playing surface and raising his arms. “He admitted going into the banned area and said that this was to prevent being pushed against the safety barriers. “The defendant said that he got pushed to the front and was concerned as he’d just had a large tattoo done. “The defendant was being shoved up against the barrier and then jumped over it to prevent discomfort having had a new tattoo. “He ran towards the pitch but stopped himself before entering the pitch. “This was in the last minute of the game when Newcastle scored and he was celebrating. The Magistrates did not make a Football Banning order but did order the Newcastle fan to pay a total of £484 plus £85 court costs and £32 victim surcharge. A man is facing jail after being caught with a weapon in a Newcastle street for the third time in a decade. Jason Chrisp, who has previous convictions for possessing a bottle of ammonia and a knife, was reported to police after concerned residents on Tamworth Road, in Arthur’s Hill, saw him “shouting and swearing” while holding an axe, a court heard. Officers attended the scene on July 29 and searched the 29-year-old but, at first, no weapon was found. However, drunk Chrisp soon confessed that he had been carrying an axe and disclosed that he’d hidden it under a nearby parked van, magistrates were told. Now, Chrisp, of Gainsborough Grove, in Arthur’s Hill, has been warned he faces a prison sentence after he pleaded guilty to possessing an offensive weapon in a public place. Rebecca Gibson, prosecuting at North Tyneside Magistrates’ Court, said; “Police attended Tamworth Road in relation to a report of a male walking up and down the street, shouting and swearing and holding an axe. The court heard that Chrisp, who was behaving in an “animated manner” and had a cut to the back of his head, was immediately detained and searched but no weapon was found. “After a short time, the defendant disclosed that he had been in possession of an axe in the street having been attacked by a group of males earlier that day,” Mrs Gibson added. Chrisp then showed the officer where he’d hidden the weapon and he was arrested. 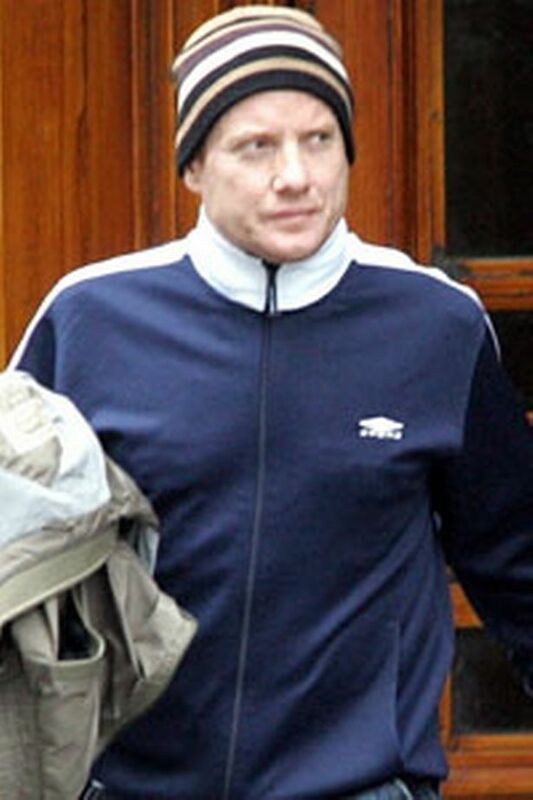 The court was told that Chrisp was convicted in 2007 of possessing ammonia in public and in 2012 of possessing a knife. Because of his past convictions, magistrates deemed that their powers of sentence were insufficient and Chrisp was released on bail to next appear at Newcastle Crown Court on October 9. Chrisp’s solicitor, Tony Malia, said that full mitigation would be heard on that occasion. 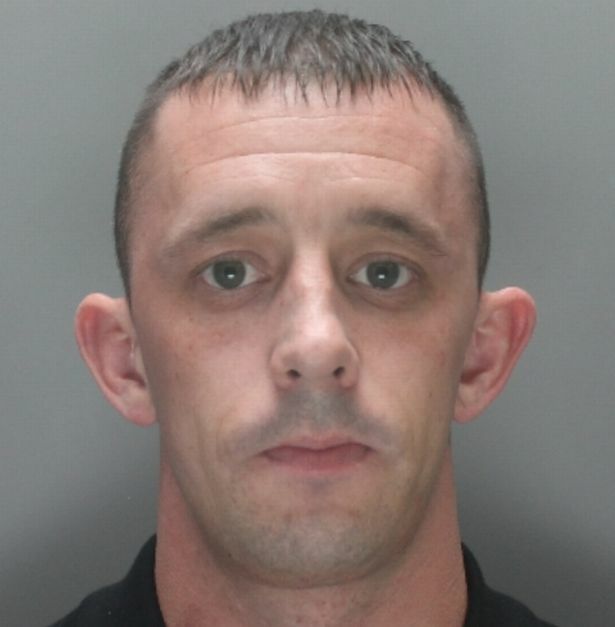 A fence who sold thousands of pounds of stolen car stereos on the internet has been jailed for 30 months. Alan Spence, 37, was a key outlet for thieves targeting vehicles in Tyneside, helping bring misery to scores of motorists. Spence, who started as a legitimate second hand dealer, stashed the hi-fis at his home and a room he used in another house. And he even set up his own internet site to trade the hot hi-fis at up to £100 a time, Newcastle Crown Court heard. Spence, of Dawcett Road, Newcastle, admitted conspiracy to handle stolen goods between December 2000 and January last year. Police recovered an estimated £30,000 of stolen stereos in twin raids. They found 105 hi-fis and other pieces of audio equipment during a search of Spence’s home in April last year. Another 45 stereos and 21 fascias were recovered from a room he had rented in a house in the city’s West End. Mark Styles, defending, said: “This is not a case of him sending people out to commit crime. Right-wing activists involved in violent clashes between neo-Nazis and anti-fascists outside Lime Street Station have been jailed. A woman was left scarred for life, a man suffered a broken nose and a police officer was knocked unconscious in ugly scenes last year. Liverpool Crown Court heard opposing factions hurled missiles and caused up to £25,000 of damage to the historic St George’s Hall. 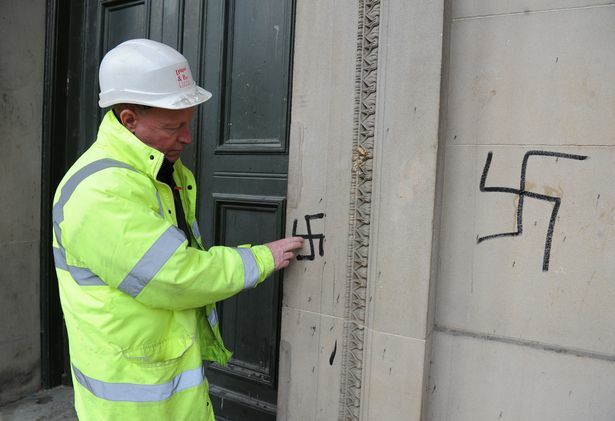 Nazi swastikas were daubed on walls, cobble stones were torn up from the building’s plateau and a Victorian statue was damaged. Shane Calvert, Wayne Bell and Brian Stamp today appeared in court, alongside allies Nikki Prescott and Alan Raine. Calvert admitted conspiracy to commit violent disorder, while Bell was convicted after a trial. Prescott, Raine and Stamp admitted affray. Bell liaised with Merseyside Police to organise “The White Man March” for now-banned fascist terrorist group National Action on August 15, 2015.The event, in Liverpool, ended in “humiliating failure” for the far right, after they were met by a much larger group of counter-protesters. Simon Driver, prosecuting, said the fascists “were forced to take refuge in a left-luggage facility” before police escorted them to trains. 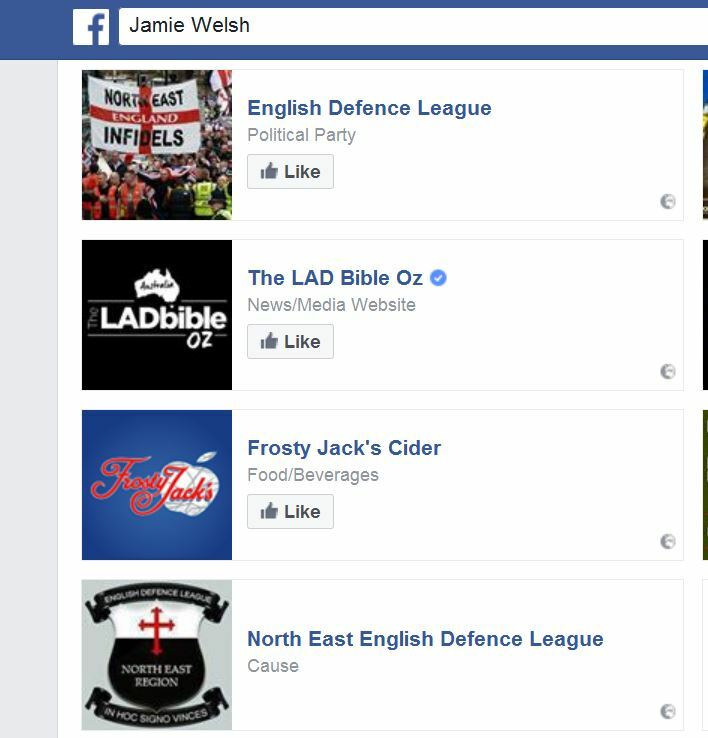 Stung by the embarrassment, another far right group, the North West Infidels, headed to Liverpool on February 27, 2016. Police were not informed and organiser Calvert deliberately changed the location of the “anti-immigration demonstration” from Manchester to Liverpool. Fascists were again met by police and counter-protesters but had enlisted a group of Polish men called the “Polish Hooligans”. One cluster of far right-supporters congregated at the Crown Pub, including Stamp, Prescott and Raine, at around 11.30am. A second group, including Calvert and Bell, gathered on the steps of St George’s Hall, as trouble flared at around 1.30pm. CCTV showed the stand-off, with rival factions separated by riot police, who held the first group at the pub and escorted them away. Smoke canisters and fireworks were thrown and, at 2.30pm, the group near the hall were joined by the Poles. They wore black hoodies emblazoned with “Polska Hooligans” and badges showing a person being kicked, captioned “good night left side”. A young female bystander suffered a facial gash requiring plastic surgery and a man suffered a cut and broken nose. People attending an antiques fair within the hall had to be locked in for their own safety. A 75-year-old black woman who emerged was racially abused and struck in the forehead by a stone. Police eventually encircled the fascists and marched them to the station. Mr Driver said Calvert wished to “avenge” the previous defeat, as shown in text messages to a man called Garron Helm. He and Bell, who bragged of punching left-wing activists “like that game whack attack”, recruited the Poles. They exchanged messages talking of “payback time for Liverpool” and Bell spoke of “the local n***** population”. Stamp boasted of buying “bad boy” gloves with reinforced knuckle-pads, which he was filmed wearing. Raine was recorded threatening “I’ll bite your f***ing face off” and Prescott yelling “come on then, let’s f***ing have it”. Judge Menary imposed criminal behaviour orders, banning the five men from entering Liverpool for five years, for their “planned hooliganism”. He said: “There will, I have no doubt, be those on both sides of this political divide who are motivated by a desire to promote genuinely-held ideological beliefs – however repugnant or deeply offensive those views might appear to others. 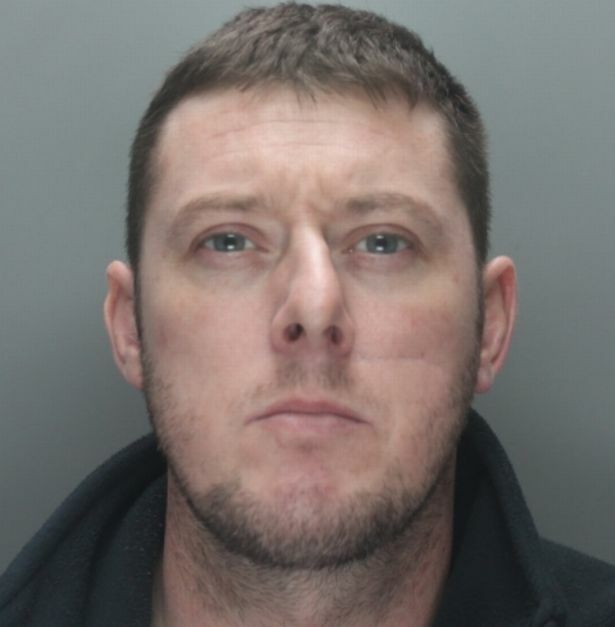 Judge Menary jailed Calvert, 36, from Blackburn, for two years and Stamp, 34, from South Shields, who “came to Liverpool prepared for a fight” for 16 months. Unemployed Raine, 41, from Sunderland, and doorman Prescott, 43, from Blackburn, each received 16 months in jail, suspended for two years. Raine received a 25-day rehabilitation activity, 200 hours of unpaid work and a four-month home curfew, from 8pm to 6am. Prescott must complete a 30-day rehabilitation activity, 250 hours of unpaid work and pay £500 compensation. Dean Thompson, left, and Jamie Welsh have each been jailed for three years. 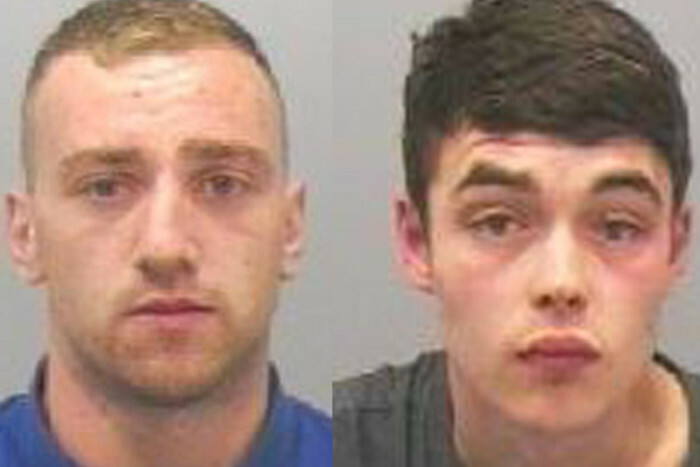 A pair of robbers who knocked a drunk man to the ground and kicked him in the head have been jailed for three years. The victim had been enjoying a night out in Newcastle city centre when he started talking to Jamie Welsh and Dean Thompson. Newcastle Crown Court heard how the pair followed him along the street and grabbed him with such force that he fell to the ground. While on the floor he was aware his rucksack was being pulled from him by Welsh, 18, and Thompson, 21. Jenny Haigh, prosecuting, told the court: “Both defendants started to kick him to his head and stand on him. The victim, who lost possessions including a gold iPhone and his wallet and bank cards, managed to get away and went to a bar for assistance. Tthe items taken from the victim were recovered from the defendants after the attack in August. Welsh, formerly of Tyneside Foyer, Newcastle, and Thompson, of Westgate Road, Newcastle, pleaded guilty to robbery. While on bail, Welsh broke into the empty home of a woman diagnosed with Alzheimer’s disease, and stole an ashtray containing money from a car. 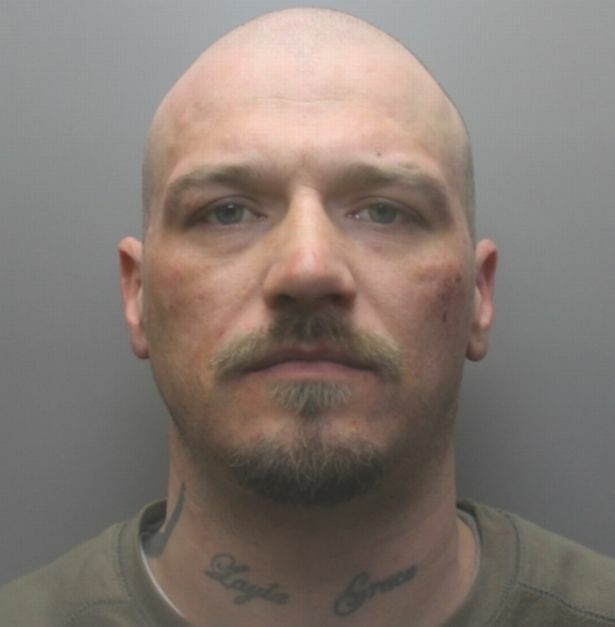 He admitted burglary, theft and criminal damage in connection with those offences. Barry Robson, defending Welsh, said he’d had to leave home due to his drug taking and had been living on the streets after being asked to leave the Tyneside Foyer. In relation to the robbery, Mr Robson said: “We are dealing with someone who is 18 and has been coming before the courts since March 2015. Paul Currer, defending Thompson, said: “He’s a young man, he has a learning disability and has problems with his mental health. Recorder William Lowe QC told the pair: “A young man was making his way home after a night out in Newcastle, he had a lot to drink and admitted he was drunk. He was therefore vulnerable. “He had on his back a rucksack, and a wallet containing credit cards, when he was set upon by these two men. “He was set to the ground with considerable force. When he was on the ground he was stamped on by these two. “CCTV was able to capture these two young men and their victim. They were arrested very close to the scene of the offence of robbery. “They had the items that had been stolen from their victim including the credit cards from his wallet. Recorder Lowe QC sentenced both Welsh and Thompson to three years in prison.